Non-Intrusive Inspection « What Happened to the Portcullis? Dubai Customs has introduced a sophisticated scanner that can detect 25 controlled and banned items in 25 seconds, in a bid to clamp down on smuggling. “The Ionscan 500DT can also detect as little drugs or explosives as one nanogram — which is one billionth of a gram” — according to Mohammad Juma Nasser Buossaiba, Director-General of the UAE Federal Customs Authority. Battelle has produced a White Paper on ‘The Importance of Image Quality and Image Quality Verification with Imaging Based Screening Technology’. It highlights how the quality of the images produced by a CT used for security screening is critical to the ability of the CT to automatically detect explosives. X-ray systems have been used for civil aviation security screening for decades to provide a means to quickly and efficiently examine the contents of an item (e.g. cabin baggage or hold baggage) non-intrusively. Originally, such systems relied only on screeners to scrutinise the X-ray image on a display to identify potential explosive threats. Beginning in the mid to late 1990s X-ray screening technology advanced to the point that X-ray systems could automatically detect potential explosive threats and highlight them and associated IED components for secondary on-screen review by a security officer, thus enhancing the probability of detection, reducing the false alarm rate and increasing bag throughput. Computed tomography (CT) explosives detection systems (EDS), based on technology used for medical imaging, were the first to provide this capability. The Federal Aviation Administration (FAA) was the first to implement this technology in the late 1990s. The 9-11 tragedy in 2001 led to the creation of the TSA and accelerated the adoption of this technology in the U.S. The worldwide civil aviation community has been slower to adopt CT EDS, relying instead on other X-ray technology, but is now committed to its use for screening, with deadlines for 100% implementation in different regions of the world ranging from now to 2020 and beyond. TSA’s model as a government aviation security regulator is different from its counterparts in most other countries in that TSA not only specifies requirements and certifies equipment but it also acquires and deploys this equipment at all 440 U.S. commercial airports. In support of this full life cycle model, TSA has developed robust test and evaluation methodologies to ensure the equipment it acquires is working properly before it is accepted for use. TSA’s deep understanding of CT and its experience with testing security screening equipment in general provide an invaluable reference for the rest of the worldwide aviation community relative to the successful acquisition of CT-based screening equipment. The automatic detection capability afforded by CT is a result of two key elements of the system: 1) the three-dimensional image rendered by the CT; and, 2) the automatic threat detection (ATD) algorithm which analyses each three-dimensional image to look for suspicious items which it then will “alarm on” and highlight for subsequent review by a screening official. The system’s ability to perform this automatic detection function properly is therefore dependent on both image quality and the ATD. The ATD is based on software and is certified by government agencies (TSA in the U.S. and ECAC in the EU) to detect specific explosive threats in quantities of concern. Since the ATD is embodied in software, it does not degrade once it is developed and compiled. The same cannot be said for the image generation capability of CT which is reliant on the system’s hardware and proper system setup. With a CT EDS, image quality is a function of many hardware and software parameters that support and make-up the imaging subsystem. Key components include the scanner conveyor(s), X-ray tube, X-ray detectors, X-ray gantry, power supplies, and cooling systems. If any of these elements is not working properly it can affect the image quality and thus the ability of the system to detect explosives. Image degradation caused by certain elements of the system not functioning properly can be so subtle that the naked eye cannot perceive it on a screener’s display yet such image quality degradation can significantly diminish the ATD’s ability to detect threats. Each vendor has their own image quality kit for internal testing purposes, however, these kits do not conform to a commonly agreed standard and may not be adequately sensitive to all relevant system elements that affect image quality. How then does an operator know that their CT is producing images of acceptable quality? The answer is a standardised approach to image quality verification that verifies all key system elements impacting image quality and that has the sensitivity to detect issues that could impact detection performance. TSA has always developed its own test articles for acceptance testing to ensure products meet their standard of acceptance and to assure consistency across all platforms. Up until very recently the TSA test articles for CT were based on a statistical method that was reliable but that only provided a go/no-go result. This system involved many test articles that were logistically difficult to manage and that required regular maintenance. To address these shortcomings and to improve the detail and value of the testing process TSA, several years ago, embarked on a programme to develop image quality test phantoms that would directly test the key elements of a CT as described above and provide empirical data that directly (not statistically) assesses CT image quality. This empirical testing system was developed cooperatively by the Department of Homeland Security (DHS) Transportation Security Laboratory, TSA, the National Institute of Science and Technology (NIST), screening equipment OEMs and Battelle. It consists of two test phantoms, and mathematical formulae for analysing the CT images produced by the test phantoms when scanned. The system produces 78 image quality metrics that represent the performance of the key CT subsystems and components mentioned above. These 78 parameters are analysed through the accompanying software to determine the quality of the CT image. The test results can help diagnose specific CT subsystems or components contributing to poor image quality and the test data, if captured on a periodic basis, can be used for trend analysis to anticipate imminent failures and to optimise maintenance. This new standard has been published in the US as ANSI N42.45 2011. It will be published internationally in 2017 as IEC 62945. The Australian Border Force reports that four men have been arrested in Sydney and Melbourne for allegedly importing approximately 254kg of cocaine and 104kg of methyl-amphetamine into Australia. Combined, the drugs had an estimated combined value in excess of $186 million. An Australian Federal Police (AFP) investigation commenced in December 2016 after the Australian Border Force (ABF) targeted a cargo consignment containing mining equipment which had arrived in Melbourne from South Africa. ABF officers at the Melbourne Container Examination Facility examined the consignment which included industrial mining equipment. X-ray images revealed anomalies within an iron ore extractor. It will be alleged that a physical examination of the iron ore extractor by ABF officers led to the discovery of 358 1kg block packages of cocaine and methyl-amphetamine, concealed within the equipment among a load of activated charcoal. On 19 December 2016, the AFP commenced a controlled delivery where the consignment was delivered from Melbourne to a storage facility in Sydney. Three men were arrested after accessing the consignment in Sydney on Sunday, 5 February 2017. During additional search warrants on Monday, 6 February, 2017 on the Central Coast of NSW, AFP officers also seized a large sum of cash in a compressed block of AUD$100 notes. The notes are currently the subject of further forensic analysis. A fourth man was arrested in Melbourne on Wednesday, 8 February 2017. One count of attempt to possess a commercial quantity of border controlled drugs, pursuant to subsection 307.5 (1), by virtue of subsection 11.1 of the Criminal Code 1995 (Cth). One count of attempt to possess commercial quantities of border controlled drugs, pursuant to subsection 307.5(1) by virtue of subsection 11.1 of the Criminal Code 1995 (Cth). One count of import commercial quantities of border controlled drugs, pursuant to subsection 307.1 (1) of the Criminal Code 1995 (Cth). AFP Commander John Beveridge said the AFP and its partners are committed to protecting the Australian community from the scourge of illicit drugs through targeted detection and disruption. “The AFP will continue to work with its partner law enforcement agencies to disrupt all forms of drug importation attempts and target those who believe they are above the law,” Commander Beveridge said. ABF Regional Commander Victoria and Tasmania, James Watson, praised ABF officers at the Melbourne Container Examination Facility for the outstanding detection. Three men appeared before Sydney Central Local Court on Monday, 6 February 2017 where they were remanded in custody. The new Rapiscan 638DV 320kV is an advanced dual-view X-ray system with a 1837 mm wide by 1800 mm high tunnel opening for screening ULD type, ISO standard, and large cargo pallet type freight. Target™ and NARCScan™ are designed to assist operators in the detection of a wide range of explosives and narcotics respectively in real time during the scanning process by marking a potential threat on the X-ray image. Rapiscan detection algorithms are based on regulatory material analysis techniques. As mandated by US and EU regulators, the 638DV 320kV utilizes a dual-view technology which produces two simultaneous images (vertical and horizontal views) of the scanned object. It provides a more complete image, thereby reducing the need for repositioning and rescanning and enabling rapid, accurate and comprehensive threat detection. The following article suggests the need for greater consultation and collaboration between all supply chain parties. While the associated costs relating to supply chain movements is not the purview of SARS, these should be considered as part of the overall impact assessment in the lead up to such an implementation. For all intents and purposes this is an unintended consequence. Stakeholders should also note that the SA government has not imposed any fee for the scanning of cargoes to re-coup costs. Non-intrusive inspection (NII) capability is a tenet of international customs control intended to mitigate security threats and incidents of cargo misdeclaration, even legitimate cargo that can be used to mask harmful products stowed in vehicles/containers. The issue of increased cost of compliance has unfortunately been a trait of many international customs developments ever since the advent of ‘heightened security’ – post 9/11 and seems destined to remain a ‘challenge’ as we supposedly move into an era of increased trade facilitation.Joint collaboration between all parties not only assists in better understanding of the broader supply chain landscape but can also contribute to positive measures on the ‘ease of doing business’. Freight & Trade Weekly (issue no. 2158, 10 July 2015) reports that Industry has called on customs to look into processes around its cargo scanners which they say are currently driving up costs. Two state-of-the art scanners are currently operational at the Port of Durban and Cape Town and are part of South African Revenue Service’s (Sars) countrywide approach to risk management that aims for less intrusive inspections at ports and border entries. The scanners were introduced in order to improve efficiency, with stopped containers being released more speedily than has been the case to date. “It has however in some cases increased costs because it has resulted in double handling of containers,” said Dave Watts, a maritime consultant for the SA Association of Freight Forwarders (Saaff). Before the introduction of the scanners all stopped containers were moved by shipping lines to licensed depots for examination by Sars. Once the inspection was concluded and the container released the importer or his agent could collect it using their own transport. The new process however sees the stopped container transported by the shipping line to the scanner where it is either released or has to be moved for a physical inspection to a depot. If released at the scanner the container is however still on the shipping line’s appointed truck and not that of the importer or its agent’s nominated haulier. There are no facilities to move it from one truck to the other at the scanners which means carrier haulage moves it to a depot anyway. “The extra cost comes in simply because of the double handling,” explained Watts. In Durban, where the new technology scanner was introduced just over a year ago, several importers maintain it is cheaper to just have their stopped containers taken to the depot for unpacks rather than going through the scanner and not unpacking. According to Mike Walwyn, chairman of the Port Liaison Forum, the issue of carrier choice also comes into play as the importer now has to use carrier haulage for delivery as opposed to his or her own transport. Whilst the Cape Town scanner has only been operational for a week, some very real challenges are foreseen and increased cost is one of them. South African Customs has introduced non- intrusive inspection (NII) capability at the Port of Cape Town. The recent completion of an impressive relocatable scanner facility within the port precinct will now afford state of the art inspection services for customs targeted consignments for inspection. This is the third X-Ray scanner installed and operated by the South African Revenue Service (SARS). In March 2008, a mobile scanner was implemented at Durban Container Terminal. More recently, a relocatable X-Ray Scanner was implemented adjacent to the container terminal in Durban to allow for improved capacity and efficiency. The new facility in Cape Town not only extends customs risk and enforcement capability in the use of such technology but acts as a deterrent against any possible threat posed by international cargoes entering or leaving the country’s ports of entry. In addition to the new x-ray inspection hardware, SARS has developed bespoke support to allow scanned images to be reviewed remotely – away from the port area – affording customs increased flexibility, allowing image analysis experts elsewhere in the country to provide almost real-time analysis and support for the inspection team. The approach also meets SARS differentiated inspection case methodology which ensures that case finalization and cargo release does not rest with a single customs official. Remote screening analysis is a practice that has already been pioneered in Europe with great effectiveness in recent years. The benefit of non-intrusive inspection (NII) allows customs to ‘see whats inside’ the container, vehicle or tanker without having to break the seal. All of this can be done in a few minutes. It forms part of Customs overall approach to minimise the time taken to conduct a customs intervention and latent cost, damage and theft which plague conventional physical inspection of cargoes. The new inspection site also enables SARS to increase its participation and effectiveness in the US Container Security Initiative (CSI) which was launched in Durban, December 2003. Under the CSI Agreement, SARS officials together with US Customs & Border Protection Agency (USCBP) officials – co-located at the Port of Durban – analyze and mitigate risks relating to any containerised cargo destined to ports in the United States. Credit to Indresan Reddy (Customs Business Systems) for the photographs. Hong Kong Customs mounted a special operation at Lok Ma Chau Control Point to combat organised cigarette smuggling activities. About 1.1 million sticks of suspected illicit cigarettes with a market value of about $3.1 million and duty potential of about $2.2 million were seized. A 52-year-old male driver was arrested and the vehicle used for conveying the suspected illicit cigarettes was detained. Customs officers here the other day intercepted an incoming container truck declared to be empty at Lok Ma Chau Control Point. After X-ray examination and thorough inspection by Customs officers, about 1.1 million sticks of suspected illicit cigarettes in 83 carton boxes were found inside a false compartment of the container. The cigarettes were sorted and packed according to orders placed with a view to quick delivery to buyers. SARS Customs recently launched its new X-Ray cargo inspection facility adjacent to the Durban Container Terminal in the Port of Durban. Following the trend as in other countries, SARS has identified non-intrusive inspection capability as part of its ‘tiered’ approach to risk management. In 2008, SARS introduced its very first mobile x-ray scanner which was located inside the Durban container terminal precinct as part of South Africa’s participation in the US Container Security Initiative (CSI). While it has proven itself in the development of Customs NII capability, its location and lack of integration with other Customs automated tools has limited its success. An efficient and cost-effective security solution with a relatively small footprint (site size). 6 Mev dual energy X-Ray technology with high penetration (through 330 mm of steel). High throughput of 20-25 units of 40ft container vehicles per hour. A unique modular gantry design which improves system relocatability. Self-shielding architecture which requires no additional radiation protection wall. Advanced screening and security features such as organic/inorganic material discrimination. High quality scanning image manipulation tools allowing the customs image reviewer the ability to verify and distinguish the contents of a vehicle or cargo container. Since its launch more than 350 scans have been performed. Suspect containers were sent for full unpack resulting in various positive findings. The new relocatable scanner is easier to operate and significantly faster than the mobile scanner. In addition, scanned images are now automatically integrated into SARS Customs case management and inspection software making case management both seamless and efficient. It is anticipated that until October 2014, both the new scanner and the existing mobile scanner operations will co-exist. During this time, the new scanner will operate risk generated cases directly from SARS automated risk engine. Unscheduled or random interventions will continue to occur at the old scanner site, which operates 24/7. Plans are in place to decommission the mobile scanner after October 2014. The new scanner will then operate on a 24/7 basis. New Zealand Customs Minister Nicky Wagner says the introduction of a new state of the art drug analyser will free up hundreds of hours a year for more enforcement work at the border. The handheld device, a Thermo Scientific FirstDefender RM, shoots a laser beam into an unknown substance, accurately identifying it in a matter of seconds. Customs purchased it with money recovered under the Proceeds of Crime (Recovery) Act. “The device will drastically reduce the number of substances that have to be sent away for expensive testing, with savings expected to pay for it in less than six months. “Its effectiveness will allow Customs officers to spend at least 520 more hours each year on frontline border work because they can make decisions quickly on what investigative action, if any, is required. In addition to the drug analyser, Customs is building a laboratory in Auckland to test unidentified chemical samples. “The enhanced capability will help to achieve outcomes sought in the government’s Methamphetamine Action Plan and allow Customs to identify an increasing number of new psychoactive substances stopped at the border,” Ms Wagner says. Because it all happens so swiftly — particularly as the containers are never unloaded or diverted individually to cargo inspection facilities — the speed of throughput increases exponentially. 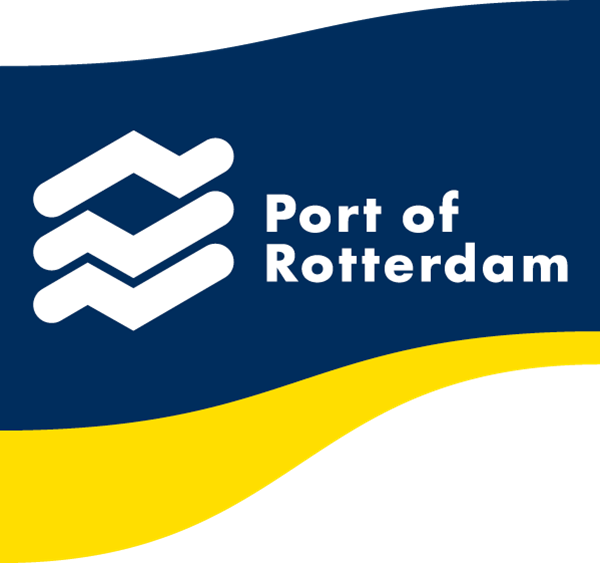 To be precise, Dutch Customs at the Port of Rotterdam can now inspect nearly two hundred thousand rail containers per year, or a single 40-foot container in eight-tenths of a second. This is the future, or as in the case of Rotterdam, the present model of an enhanced global supply chain — ultra-high-speed rail throughput combined with ultra-accurate threat detection. This combination of speed and efficiency is an innovation that allows not only railways to be more secure, but the global supply chain as a whole. Rail has long been an overlooked component of the modern supply chain, even though it is arguably one of the most important. Because of the nature of rail — with thousands of miles of unguarded track, often connecting countries — it has previously been challenging to screen and secure without causing a disruption to the supply chain. And while ports and airports typically get the lion’s share of technology innovation, all components need to be equally considered and secured to prevent interference and have a smoothly run supply chain. When minor security gains trigger major productivity losses — and when even small throughput disruptions can grind supply chains to a halt — it’s easy to see why rail lines have been relatively (and intentionally) under-served by global security improvement efforts. As a result, one of the more popular rail security/efficiency compromises has been to implement a procedure for “small sample” screenings, by which only a small portion of each rail car or trainload is scanned for threats, dangerous materials, and contraband — providing a modicum of security without disrupting the core efficiency of the supply chain. Accordingly, the industry has been eagerly seeking newer technology-based answers — ways to scan a larger portion of rail cargo without degrading throughput efficiency. The Dutch Customs’ solution meets higher inspection goals without detrimentally affecting the international supply chain. Rapiscan Systems has launched the new Driverless Eagle M60 cargo inspection system. It is a fully-automated vehicle screening system which can operate without the need of a driver and has been specifically designed to assist customs and border personnel in their detection of nuclear materials, explosives, weapons and contraband such as tobacco, alcohol and currency in trucks, cargo and containers. Rapiscan’s driverless system requires no driver to be present during scanning, which the company says eradicates driver fatigue and driver work-shift changes; improves inspection rates and vehicle throughput; and removes risks associated with lone workers, health and safety incidents and potential human error. It can be driven on the road like a standard vehicle, allowing the unit to move between locations quickly and easily as required. Once moved into position via a remote steering system, the M60 automatically detects two positional sensors — one placed at either end of the scan location. The positional sensors can be placed as far as 35 meters apart, allowing for oversized cargo or multiple units to be scanned in one pass. As the scanning commences, additional sensors on the M60 make minor adjustments to the direction and position of the vehicle which ensures it consistently drives in a straight line between the two positional sensors. The system is designed not to deviate by more than 25mm from the center line. The automated scan process is then monitored by a system operator who is housed in the M60’s onboard inspector’s office. This operator views the high resolution X-ray images produced by the system in real time. 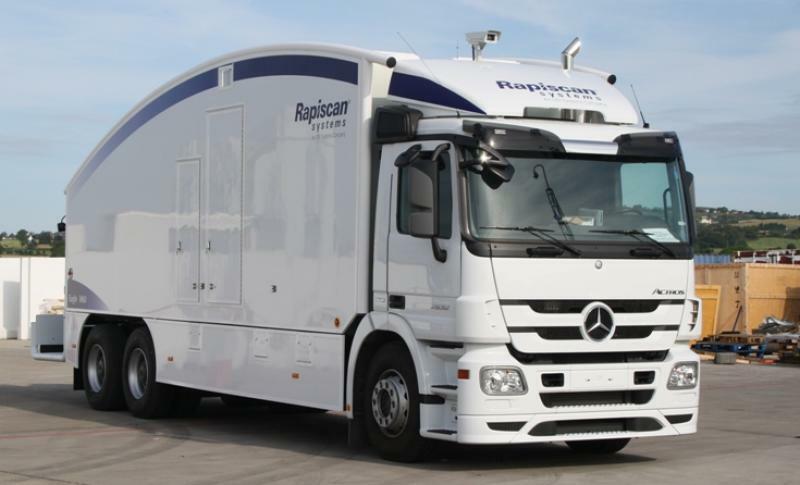 Rapiscan was recently awarded two lucrative contracts for its vehicle and cargo inspection systems. On May 13, the company announced a $15 million order from an undisclosed Middle East customer. The order is for multiple Rapiscan Eagle M60 mobile inspection units, which the Driverless Eagle 360 is based on. This was followed by a $13 million order for an undisclosed “international customer,” again for Eagle inspection systems. Rapiscan’s Eagle cargo and vehicle inspection systems are used by customs agencies, military organizations and homeland security operatives around the world. Eagle cargo and vehicle inspection systems use proprietary transmission X-ray technology that is able to penetrate well beyond the surface of a container or vehicle to provide comprehensive detection of threats. A short film demonstrating the Driverless Eagle M60 in action can be seen here.